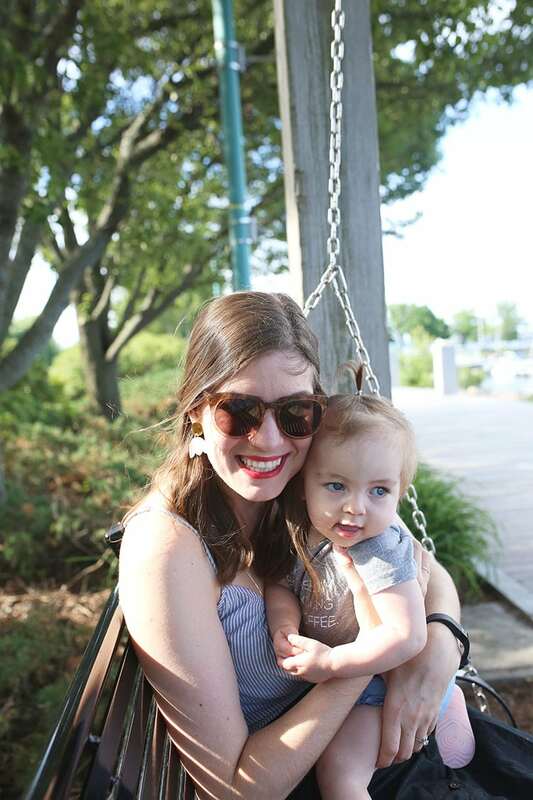 I recently had the privilege of taking a trip to Burlington, Vermont, sponsored by Vermont Tourism and Cabot Cheese, and I am so excited to share all my favorite highlights! 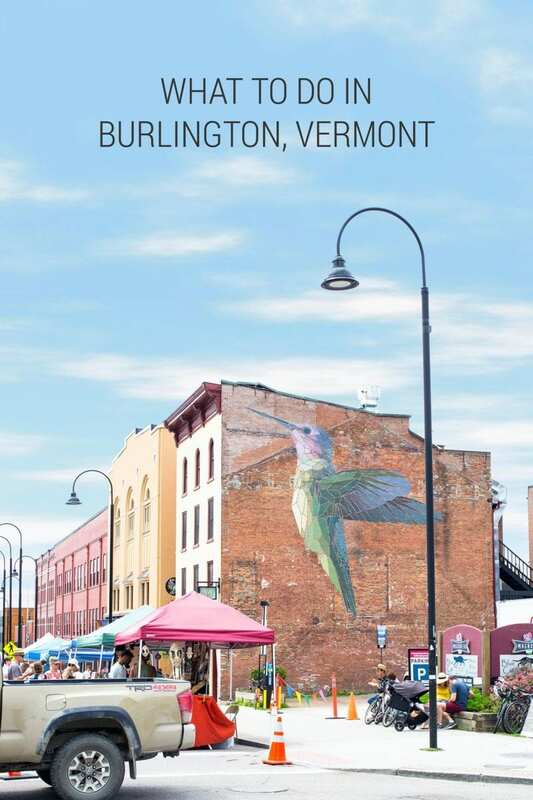 If you’re wondering what to do in Burlington, Vermont, look no further. 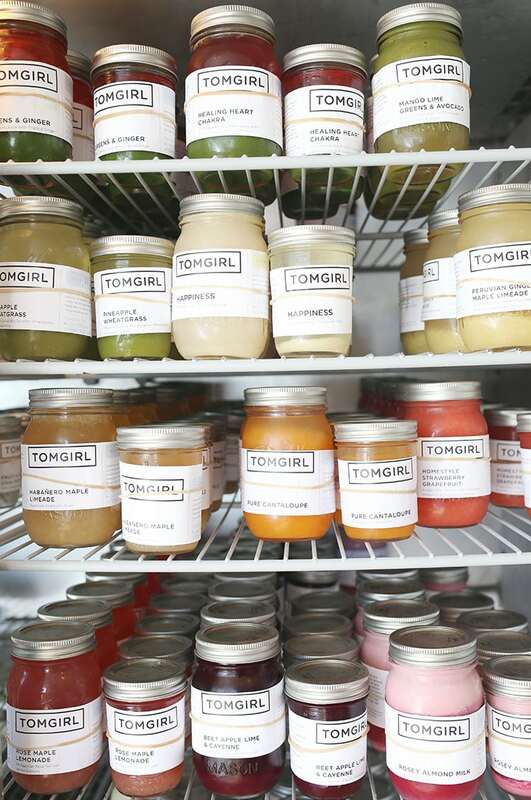 If you want to shop and munch all day, you’re covered. But if you want to dig into nature, there’s plenty of that as well. I love to hit the highlights across both categories, so I’ll be covering a little of both throughout this post. I did the whole trip together with Andrei and Cricket, so I can vouch that even if you get into the hiking and countryside drives, it’s such a family-friendly vacation destination! P.S. If you scroll all the way to the end of the post, there’s a handy Google map with each of these destinations marked for easy smartphone navigation and itinerary planning! We got a little bit spoiled and were taken out on a sunset boat ride with Jimmy Kennedy, a Cabot chef who travels with the Gratitude Grille and used to have his own restaurant, a champion fisherman, and one of the most genuinely nice guys you could ever hope to meet. 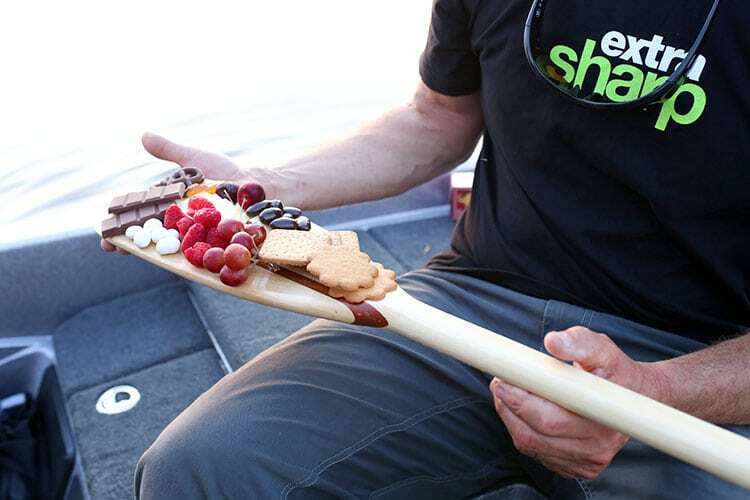 We had the best view in the neighborhood as the sun went down, and Jimmy managed to put together this beautiful cheese b[oar]d (I couldn’t resist…) and then held it up for photos without dropping everything — all while steering and driving the boat. He shared fun stories about his travels with Cabot and his famous cheese s’mores. Yes, cheese s’mores. While I wish you could all have the same experience, I still hope you’ll get a chance to get out on the water, even without Jimmy. A quick Google search turns up quite a few options to take your own cruise around the lake. 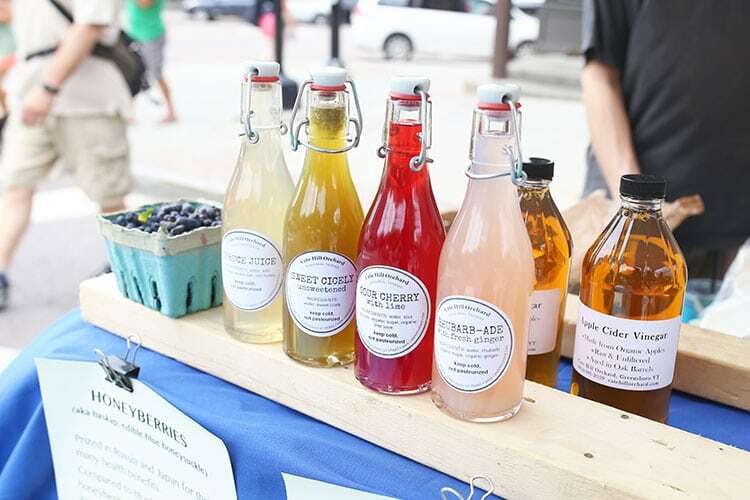 The Burlington Farmer’s Market is a densely-packed collection of 90 stalls of food, drinks, and wares from indie artisans. 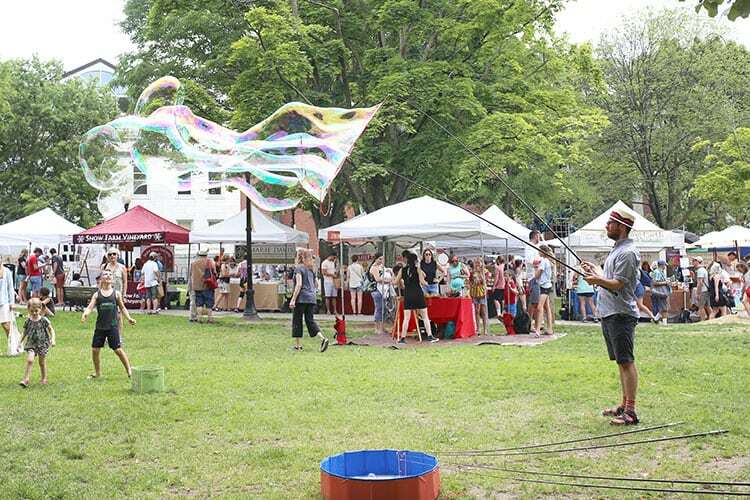 The market is held every Saturday from late spring through autumn in downtown Burlington’s City Hall Park, just off the Church Street Marketplace. We even stopped for awhile on the lawn with Cricket to watch a guy blow absolutely enormous bubbles! The market would be a great place to pick up some local souvenir gifts. 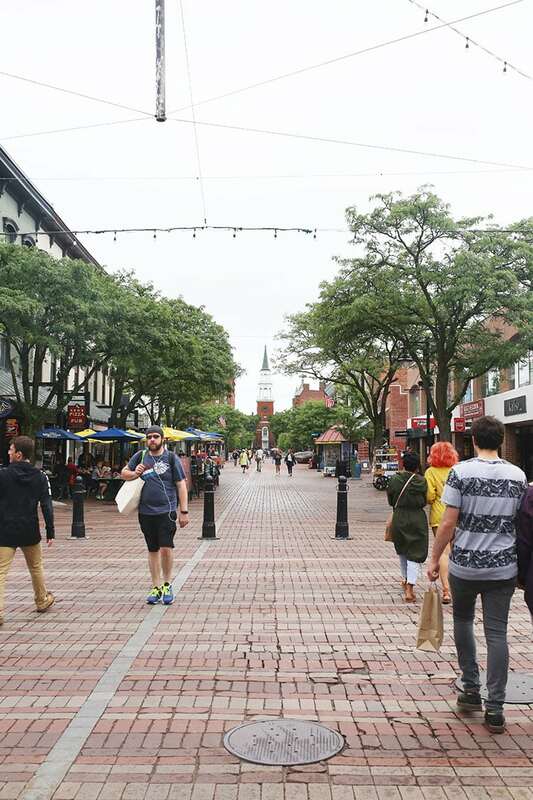 Spend an afternoon wandering Church Street Marketplace, Downtown Burlington’s open-air mall featuring more than 100 retail and dining spots. The pedestrian-friendly four-block area is closed to traffic and is a smoke-free zone, so it’s a wonderful place to take the whole family. Crow Bookshop is a bibliophile’s dream with new and used titles in every genre, with highlights from Vermont authors. 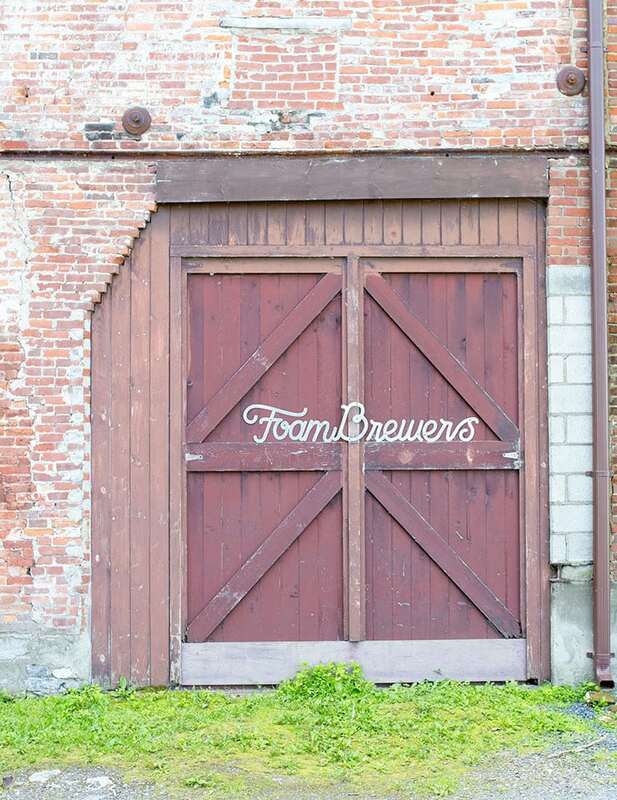 Frog Hollow on the Marketplace features traditional and contemporary works by Vermont artisans. Keep Vermont Weird is a tiny little shop with fun, quirky gift options. Saratoga Olive Oil Co. has an incredible selection of oils and vinegars, and you can taste them all. The white truffle oil almost did me in it was so good! Shy Guy Gelato sometimes has an adorable cart set up on the marketplace, and it’s definitely worth getting a scoop! Look no further than Dakin Farm for your gourmet Vermont gifting needs for the foodies in your life. You can sample just about everything in this farm market and grab a creemee cone for the road. You can also see how maple syrup is made in the sugarhouse. 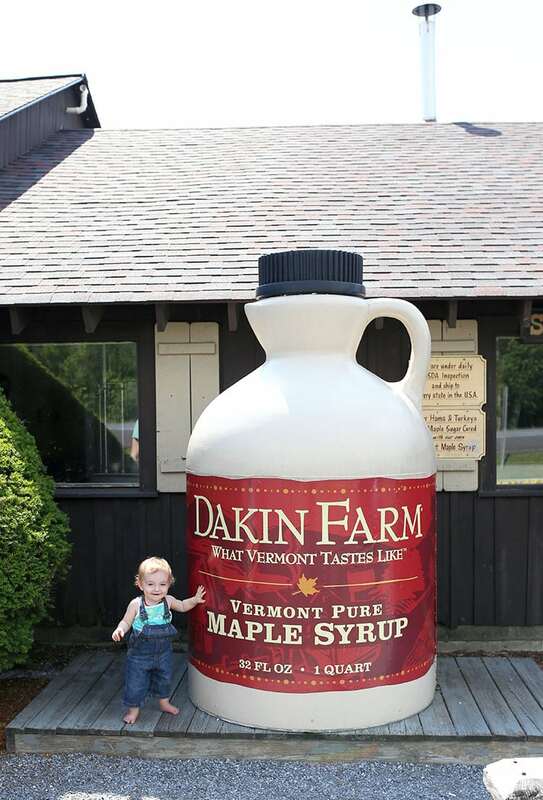 Don’t forget to snap a picture with the giant bottle of maple syrup out front! Tip: This is the only place you can mail order Cabot cheese online, and holy cow do they have a lot of options! Mt. Philo is a beautiful hike outside the city. The hike itself is largely shaded, so we found it much cooler than the surrounding areas when we went on a particularly hot day. The trail to the summit is 3/4 of a mile and leads you to an absolutely breathtaking view of the land beneath. 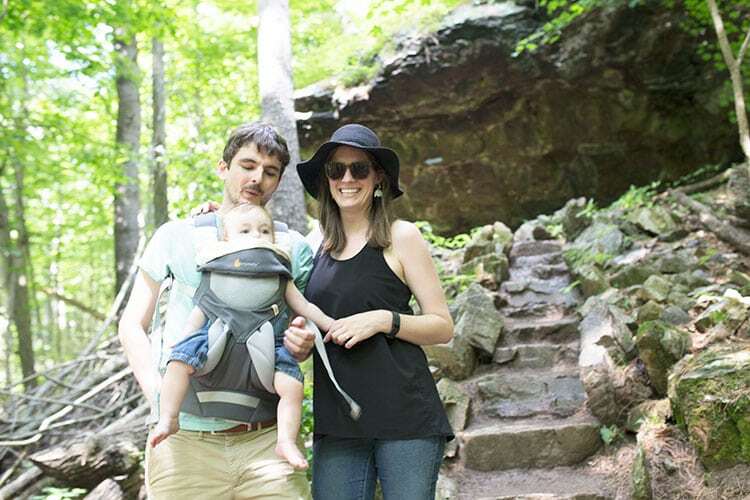 We hustled, and it took us right about an hour to hike to the top; look around a bit; and hike back down — and that’s with a baby strapped on! The hike can be a bit steep in places, but I’d say it’s pretty beginner-friendly. You can also drive up to the top if you’re not up for a hike, or time doesn’t permit. The park is open from 10:00 a.m. until sunset, is pet-friendly, and has camping available. Entry is $4 per adult, $2 for kids ages 4-13, and free for kids three and under (way to earn your keep, Cricket!). There’s a Lake Champlain Chocolate storefront at the Church Street Marketplace, but I recommend the Lake Champlain Chocolate Factory Store for the full experience. 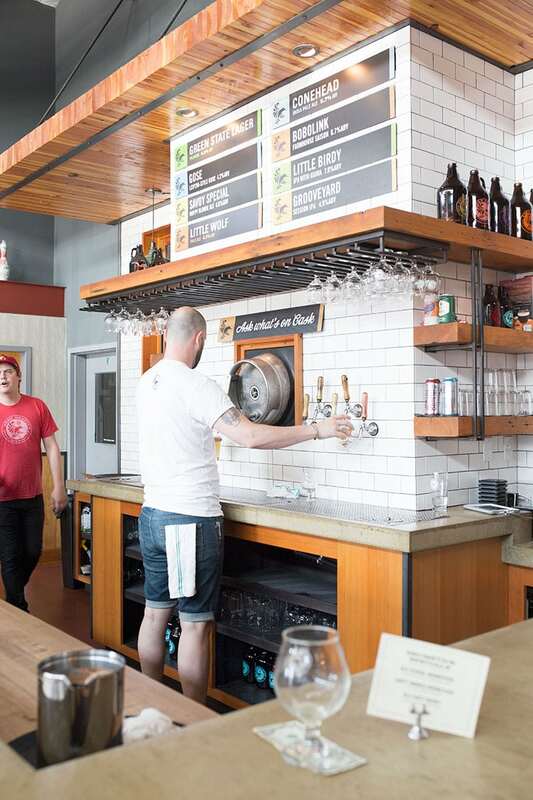 They offer free 30-minute tours on the hour on weekdays from 10:00 a.m. to 2:00 p.m. or a free tasting experience on weekends from 11:00 a.m. to 4:00 p.m., so it’s a great destination to take kids — especially if you’re trying to escape the weather. Note that tours are recommended for kids ages 7+ and they they do fill to capacity during peak summer days, so call ahead to see if there’s space. Tip: Be sure pick up a bag of factory seconds for a delicious treat at a discount! 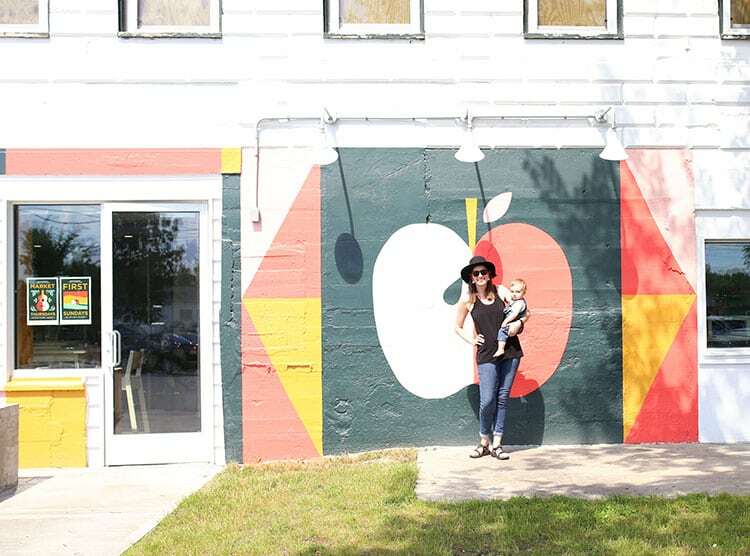 The beautiful murals around Burlington aren’t to be missed and will give you Instagram fodder for ages. 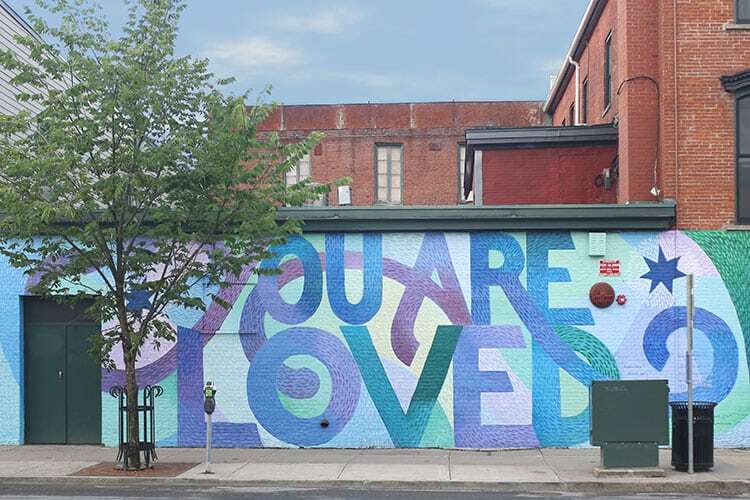 Pictured above and located across the street from Ben and Jerry’s downtown is “You Are Loved” by Alex Cook, part of series to raise awareness of human trafficking. And below is the gorgeous geometric hummingbird by Mary Lacy on the side of Monarch & the Milkweed. Find these two on my Burlington Google map (the purple dots with paint palettes), and check out this Burlington mural tour guide for even more. 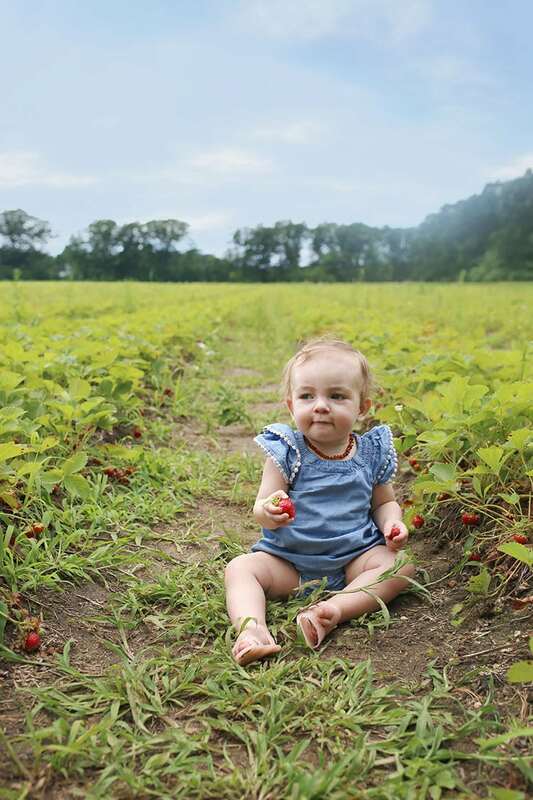 We stopped off at Sam Mazza’s to pick strawberries, and Cricket had a blast grabbing them and trying to munch them up before they ever went into the cute little wooden pint basket. Charlotte Berry Farm also came really highly recommended but was closed the day we went berry picking. Don’t miss your chance to take a drive through some of the prettiest farm country I’ve ever seen. We actually got to tour a Cabot family dairy farm, and it was such a neat experience seeing everything up close and personal. I’ll get into that in a later blog post, but I just couldn’t leave out how beautiful of a drive it all is. 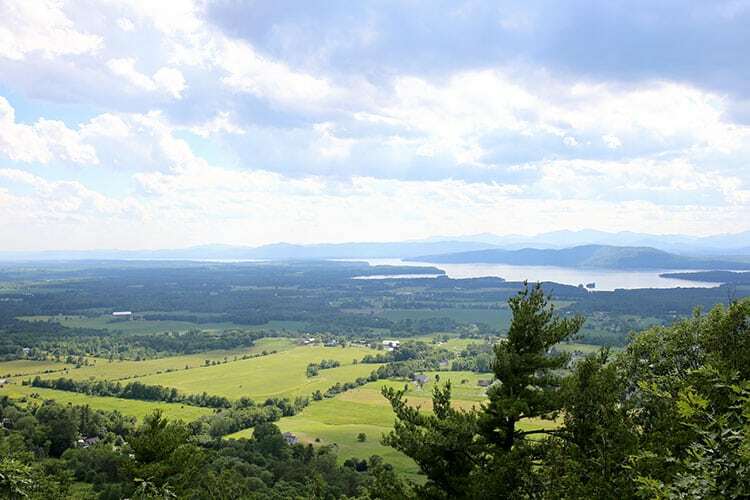 On the way back from the farm, we visited Shacksbury Cider, Mount Philo, Vermont Cookie Love, and Dakin Farm (all described in this post), so there’s plenty to do along the way! 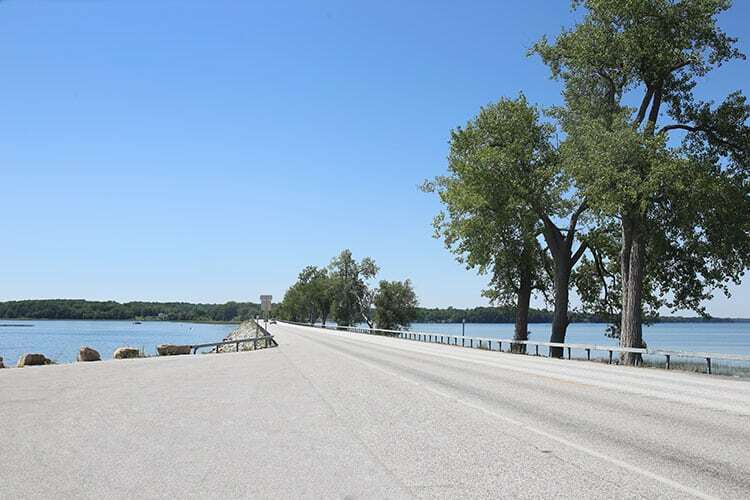 Oh, and there are also some incredible lake view drives around the area! We didn’t end up doing the Vermont Teddy Bear Company because Cricket is too young to get anything out of it right now, but I wanted to go so badly! This would be SO fun with older kids because they have teddy bear factory tours. Kids can build a bear of their own, and they even have a teddy bear hospital where the kids can meet Dr. Nancy. 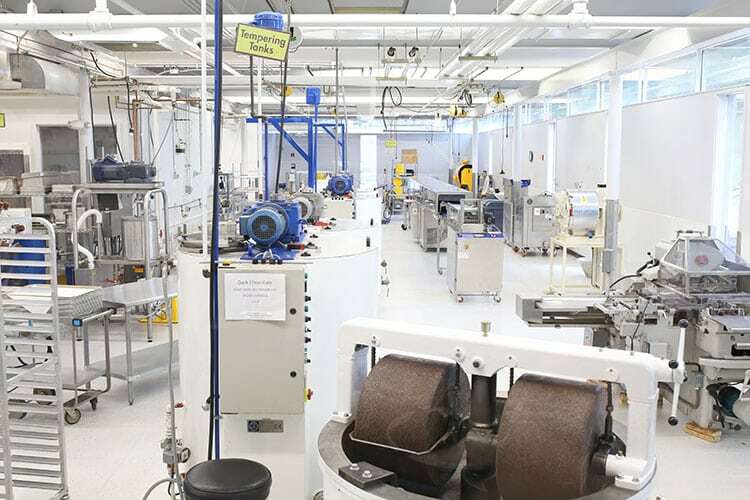 The factory is open year-round all week except for major holidays, and they say to plan for about 75 minutes for a tour. Tours cost $4 for adults, $3 for seniors, and are free for kids 12 and under. Their busy season is June through October, so you may want to call ahead about your tour. Check their site for hours. 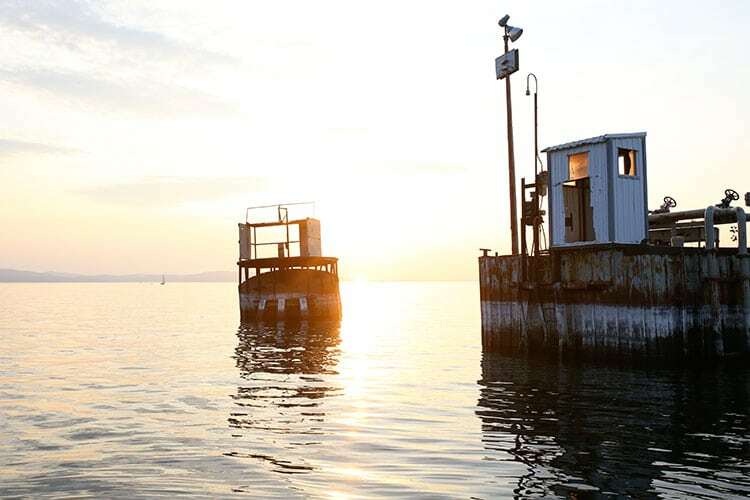 Burlington’s Waterfront Park, open sunrise to sunset, is the perfect spot for a stroll along Lake Champlain. It’s bike- and dog-friendly and has porch swings hanging all along the marina boardwalk. It’s an easy walk from the Church Street Marketplace and is very close to the Skinny Pancake and Foam Brewers. Burlington is one of those lovely places where you could happily eat your way through town and do just about nothing else. There’s a delightful variety of cuisine, but that really isn’t what sets it apart from anywhere else I’ve been. The common thread that really stood out for me was the way every place we ate seemed to be dedicated to sourcing as much of their ingredients locally as they could — from Cabot cheese, of course, to sprouts and even tofu. I’ve been really focused on trying to reduce our family’s carbon footprint and environmental impact lately, so I love to see farm-to-table cuisine done in such a dedicated way! Monarch & the Milkweed is a cute, cozy spot to sit down to brunch or just grab coffee and a pastry from the bustling takeout counter. The bloody Mary has an amazing horseradish bite, and the spicy tomato soup with grilled cheese is so good! Our group also loved the chicken and waffles, the absolutely gorgeous fruit bowl (with like nine kinds of fruit), and the picture-perfect blueberry pancake stack. Penny Cluse Cafe is another super walkable location if you’re staying downtown, and they have a beautiful mini art gallery along all their walls. They brought little toys out with our menus for Cricket to play with, which I thought was just the sweetest touch. I think our whole group loved the bucket-o-spuds, but there was nothing on the table that wasn’t delicious. Check out the chalkboard with their specials of the day for different locally-sourced specialties, like French toast with strawberry-rhubarb compote. 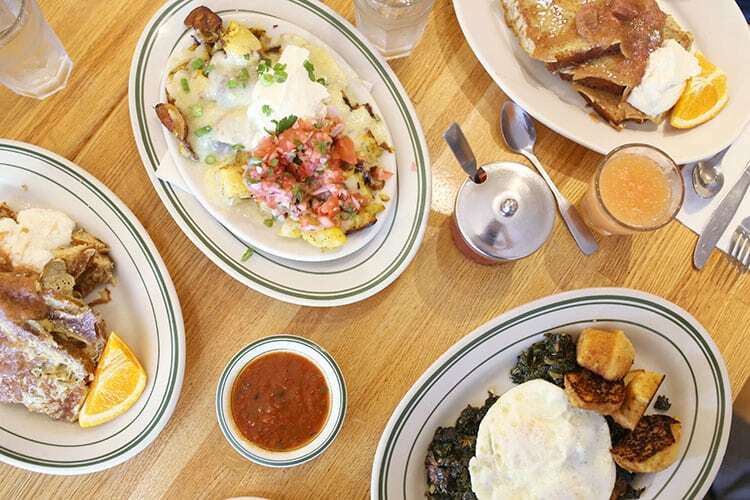 The Skinny Pancake has a beautiful breakfast and brunch location right off the waterfront, but I recommend getting there early. The line can get way out the door, and you want to try to grab a spot on the patio if you can. Both crepes we tried were delicious, and the fried cheese curds are an absolute must! Tip: If you don’t make it here on your travels around Burlington, you can still grab a bite at one of the two locations inside the Burlington International Airport. Hen of the Wood is a foodie’s delight. 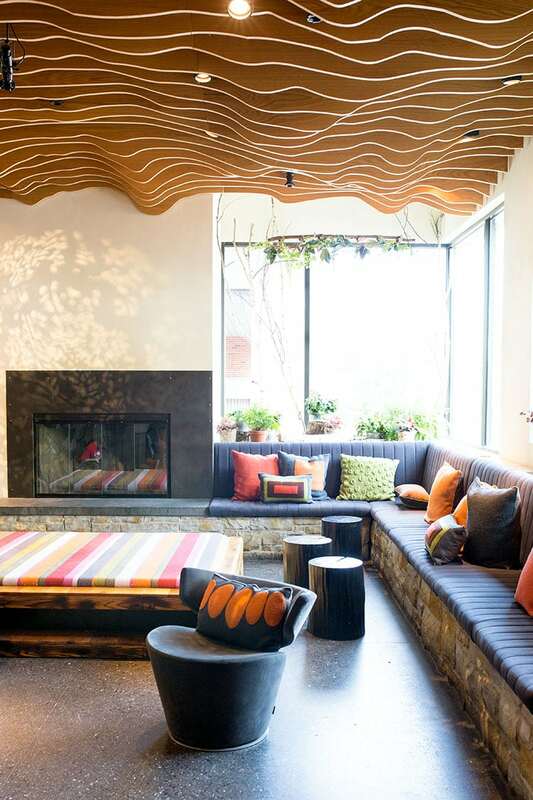 Plan for a long, slow evening gathered over a selection of local cheeses, incredible Parker House rolls, and handcrafted cocktails. They print a new menu daily, custom-tailored to the ingredients available within the communities surrounding the restaurant. 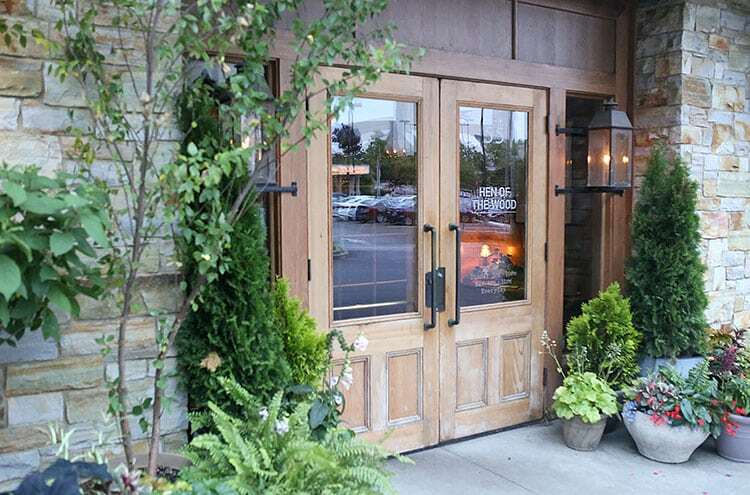 We had dinner here with the wonderful Cabot team and got to learn about the area and some of the cheese we were eating, like the Cabot Clothbound, a special cheddar aged in cloth in caves in collaboration with Jasper Hill Farm. To die for, you guys. 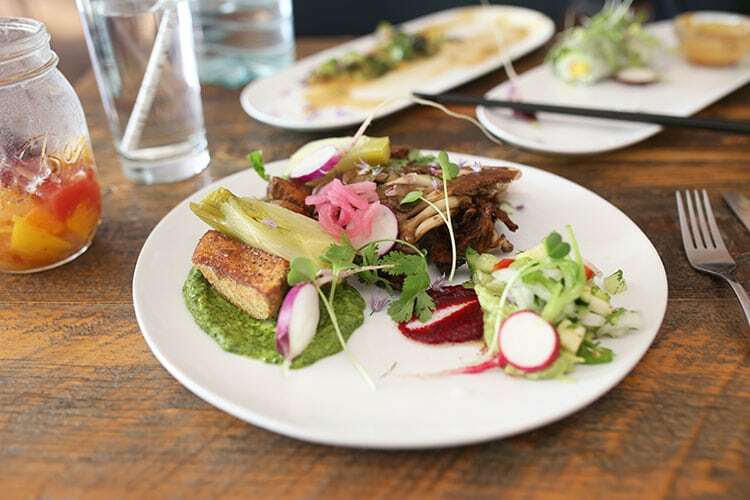 Revolution Kitchen is a vegetarian masterpiece. 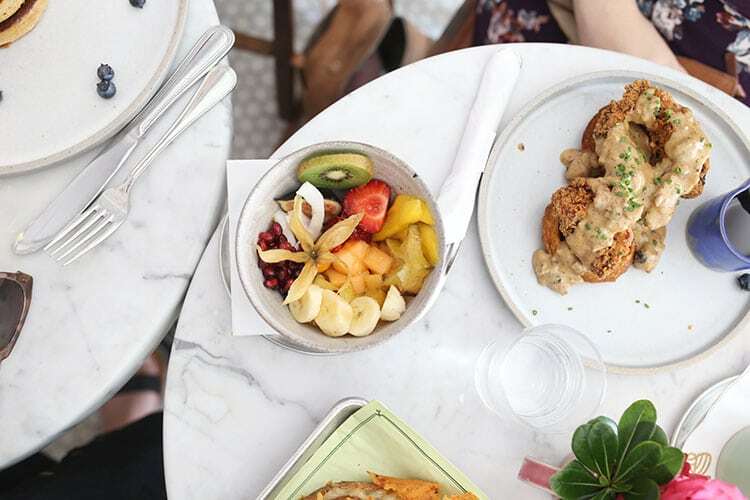 Since I eat mostly vegetarian, I’m accustomed to having few choices on a standard restaurant menu, so Revolution gave me decision paralysis — in a very good way! 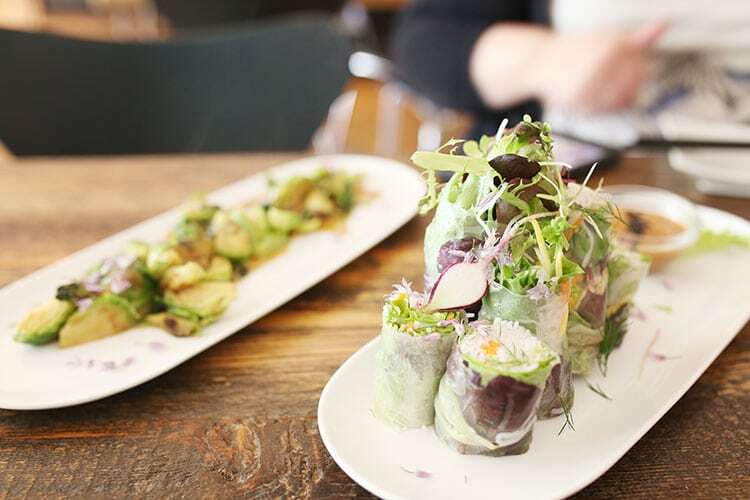 We started with the Vietnamese salad rolls that I swear were almost too beautiful to eat and tasted just as good as they looked, and some crispy seared brussels sprouts. I got the special of the day, which featured local mushrooms and so many other delicious elements, and we also tried a yummy curry and tacos. If you go, you have to finish off with a slice of the maple-soaked cake, but share it with your friends because it is delightfully rich! Burlington Bay Market & Cafe is a great stop along the waterfront to grab a quick bite from their selection of sandwiches, burgers, and salads. But it’s an even better stop for a maple creemee* coated in sprinkles. 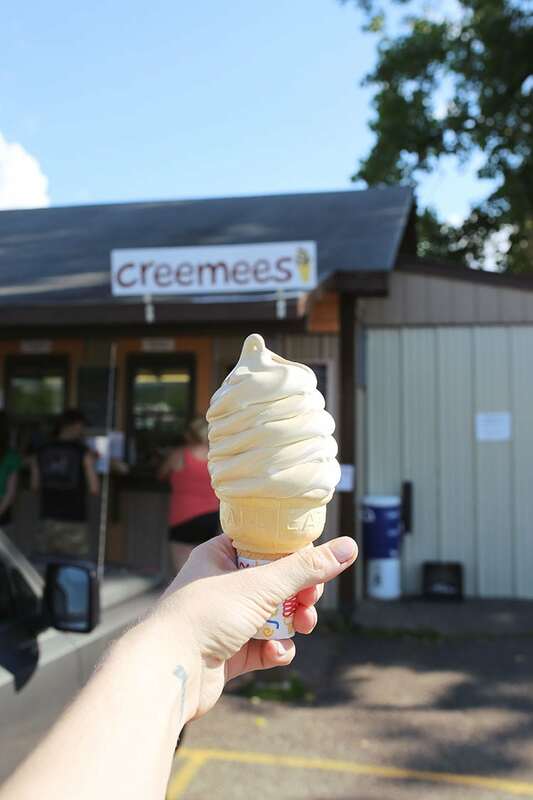 *Creemees are Vermont’s own twist (pun intended) on soft serve. From what I’ve read, they have a higher milkfat percentage, which makes then extra rich. You have to try maple, of course. Shy Guy Gelato is right across from Tomgirl Juice and has super yummy gelato. If you can’t walk out that way, find their cart at the Church Street Marketplace. Their aim is to remind us to slow down in our busy lives; stop the constant multi tasking; and put down our phones to find comfort in the simple pleasures of life. I can definitely get behind all that. Vermont Cookie Love is a must for the cookies lovers. We picked up a half-dozen and tried six different flavors. Every single one was good! They have gluten-free options as well. You can get a creemee from the window out front. I recommend the maple-coffee twist. We stopped off at Foam Brewers and Zero Gravity Craft Brewery. Foam is right off the lake, which can make for a nice breeze and a pretty walk before or after. If you want the full Burlington beer experience, check out the Vermont Brewers Assocation’s Burlington Trail, including a link to an all-inclusive brew tour. We stopped at Shacksbury Cider on our way back from touring a Cabot family farm and right before hiking Mount Philo. The location is absolutely adorable. There’s a great mural by Annemarie Buckley of Scout’s Honor Paper, and when we were chatting with David, one of the co-founders, he told us they’re eventually going to have the mural go all the way around the front of the building. So let me know if you get it to see it all done! We didn’t make it into the Citizen Cider tasting room, but I tried a glass at a local restaurant, and I can say it’s definitely worth a visit! 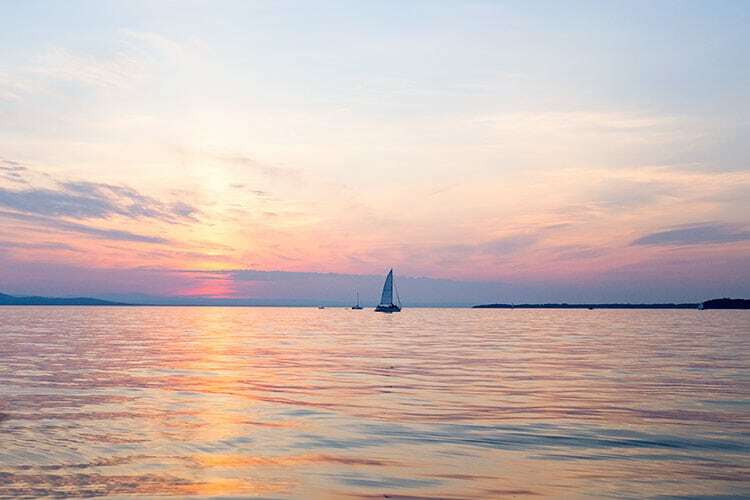 Whether you’re for coffee, tea, or juices, Burlington has plenty to offer. 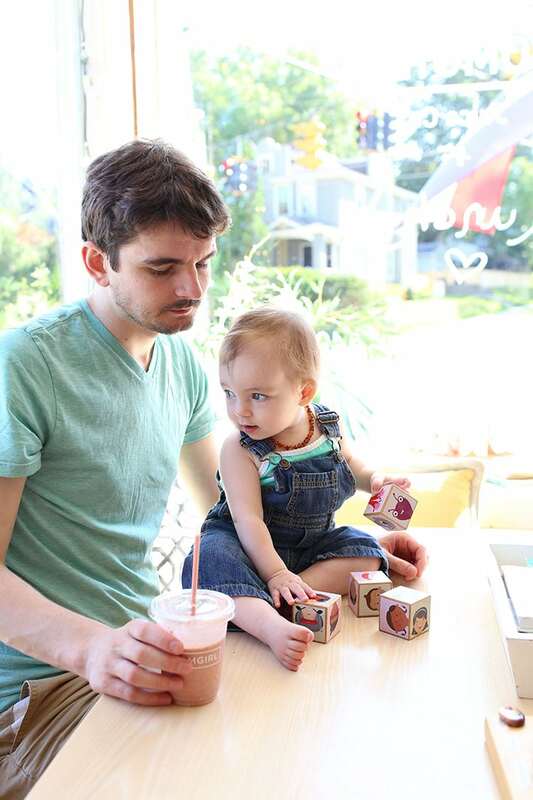 There’s no shortage of coffee and tea choices, and a local, indie options is always just a stone’s throw away. Brio Coffeeworks in the South End Arts District is a specialty roaster with a tasting counter and a team ready to help you learn the finer parts of all things coffee. 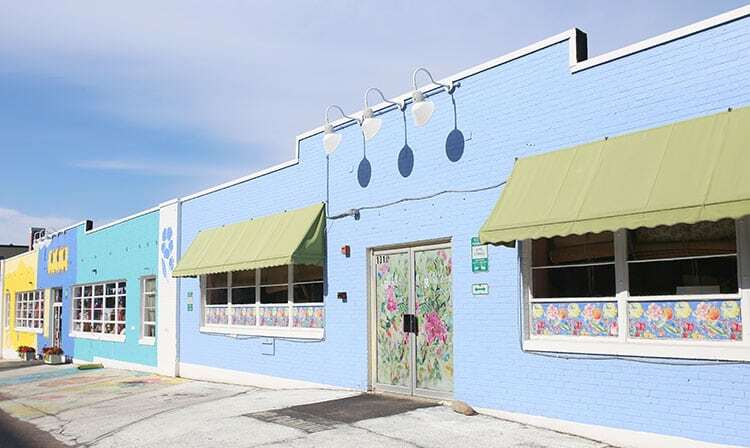 Maglianero Cafe shares a space with the Karma Bird House Gallery and features local baked goods, ethically-sourced coffee, and teas from Vermont’s Stone Leaf Tea House (which I totally want to visit now!). Scout & Co. does double duty as an espresso bar and ice cream company, with flavors they make right there in the cafe. We never made it into Mad River Distillers, but their tasting room looked lovely when we walked past. They’re open Thursday through Sunday for tastings, flights, and cocktails, and they stock an extensive supply of bitters, syrups and shrubs. 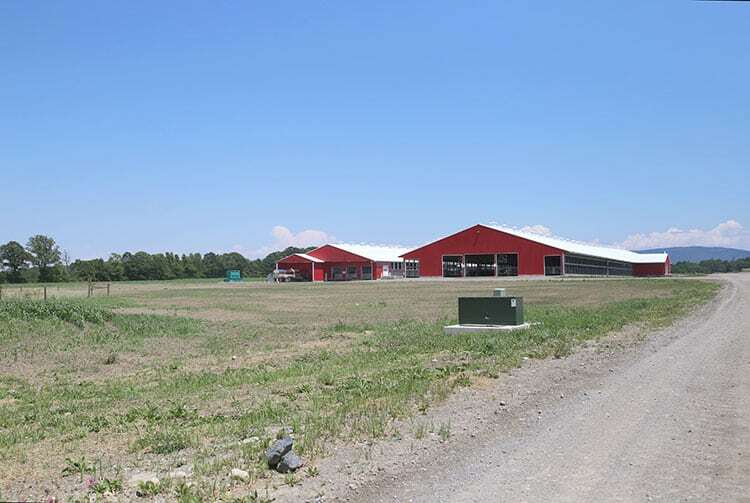 Fly into Burlington International Airport (BVT), and either rent a car or take an Uber. Once you’re downtown, you don’t really need a car unless you’re taking an excursion outside the city. 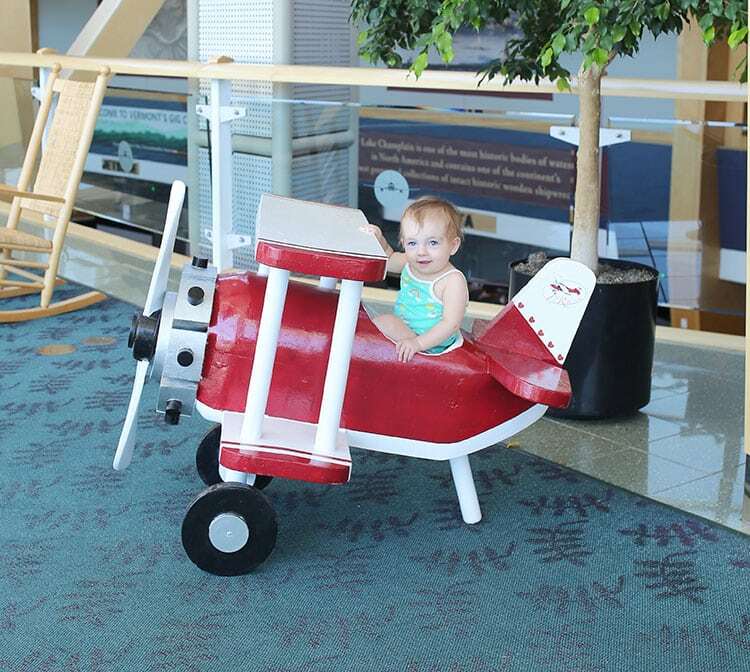 BTV is an adorable, very small airport, and getting around is a breeze. While Burlington has lots of cute options, I definitely recommend staying downtown, and I can only personally vouch for one place. The Vermont Tourism and Cabot teams put us up in the gorgeous Hotel Vermont. The hotel is pretty much across the street from Lake Champlain. 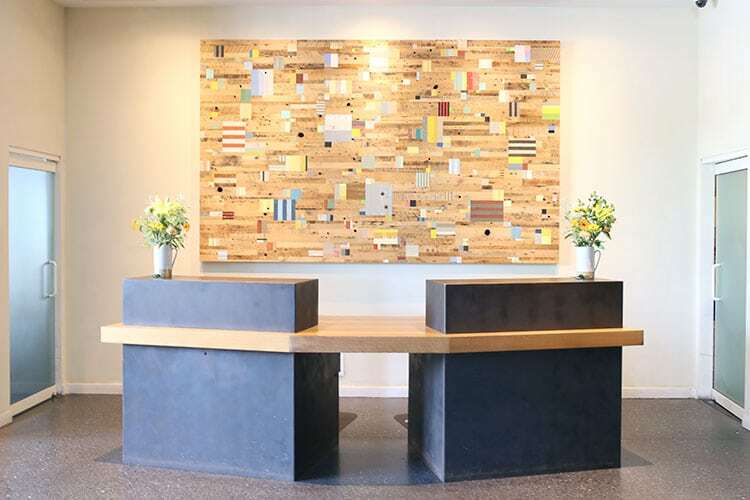 You can borrow bikes to get around town in style, and the top floor king rooms have morning and evening goodies in the communal pantry, like fresh fruit and elaborate cheese boards, in addition to a beautiful drink station. The hotel also has a definite environmental focus, which, as somebody raising the next generation, I appreciate so, so much. 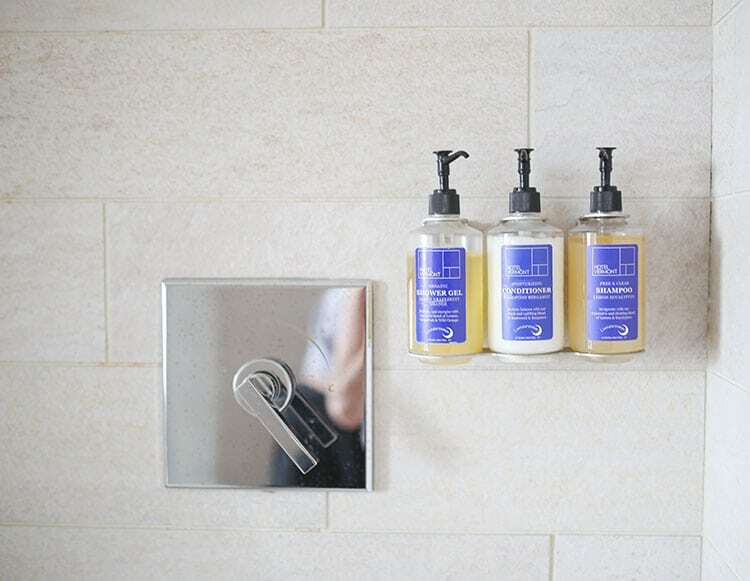 Rather than tiny toiletry bottles, there are big, refillable ones. Please remember to factor things like this in when choosing where to rest your head for the night! You can use this interactive Google map to plan your itinerary and quickly and easy navigate to destinations from your smartphone. Tip: Zoom in on Downtown Burlington to see everything around that area more easily. Oh thank you!! This is so helpful. I love Burlington but it’s been a while since I’ve been there! This guide is perfect for me to plan my return trip. Yay. Wow, it sounds so amazing, I followed along on instagram stories and so glad to see the whole roundup now so I can save! WHOA. I am completely smitten. This looks like the most amazing area ever from the tasty food to all the gorgeous parks and waterfronts! Love all that you mentioned ! I would add a trip to City Market for amazing cold / hot buffet items to eat on site or to pack a lunch for the day! 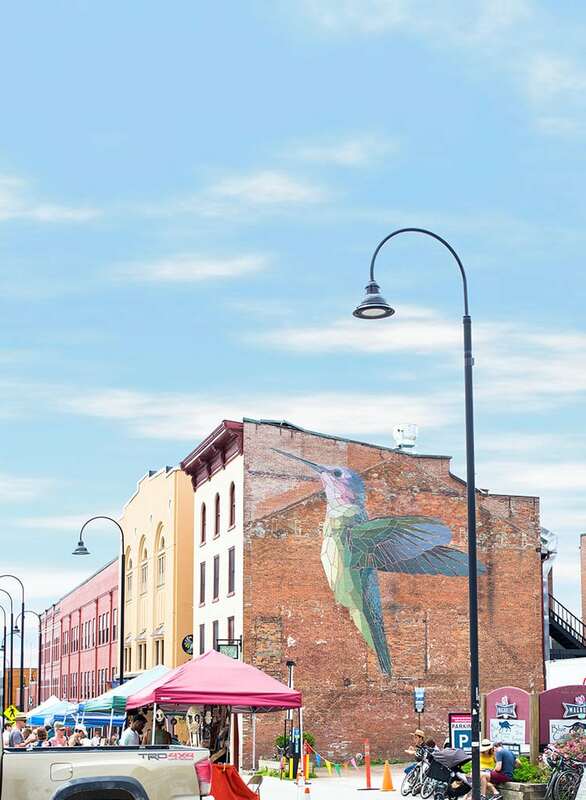 Don’t miss the South End Arts District when you visit Burlington! You’ll find a concentration of art studios, wander around on weekdays you’ll find many artists busy creating their wares. Meet the makers and bring home something special! Along Pine St. South of Main St.clustered between Maple and Howard. We love indie artists, and I’m always trying to expose my little one to more of it. Great tip! I love seeing these gorgeous photos (especially the one of Cricket with the maple syrup bottle – too stinkin cute!) And now I want to go back to VT asap!! And I’d love to go back, too — such a great trip!!! What a great write-up of Burlington! You definitely hit so many of our favorite places in town:) Come back and visit anytime and stop in at Brio for more coffee adventures. Chocolate, beer, cider, cheese, coffee… oh my, so much goodness! DUDE! This is such an amazingly helpful post! I LOVE Burlington but have never done any of these things! Now I know for sure I need to go back. (Actually I’ve even considered moving there…). It looks like you three had so much fun in the city and area. And OH, I do remember the delicious taste of Cabot cheeses! <3 Thank you so much for sharing this awesome guide! Yayyy, I’m SO glad you found it helpful While I was writing it I realized I already wanted to go back!! I’ll bet you’d love living there! We want to go back to ski sometime.